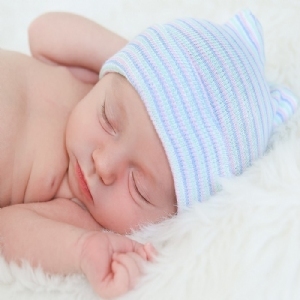 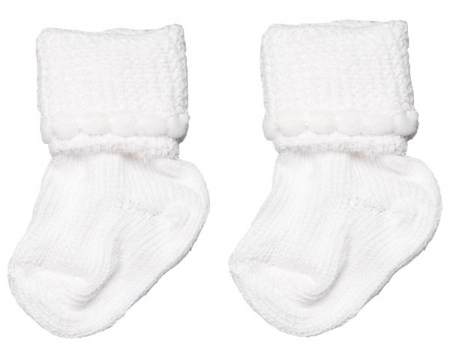 Our soft, knit booties will keep the babies� feet in your nursery comfortable and warm. 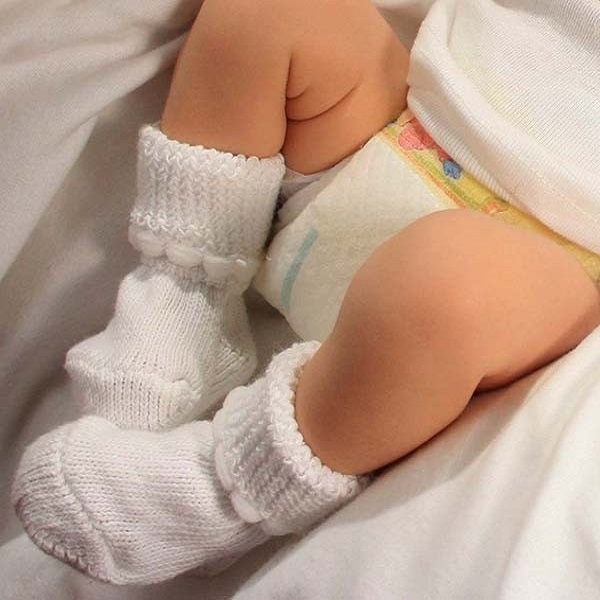 The bubble stitch design located on the cuff allows the sock to stay in place while baby moves around. These infant socks come in three colors: White, Blue, and Pink. 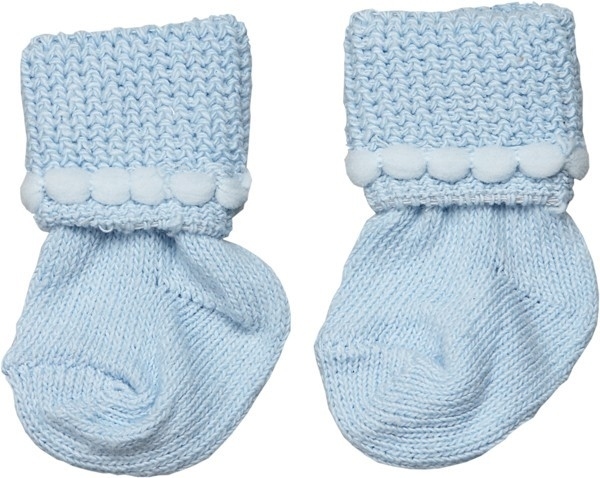 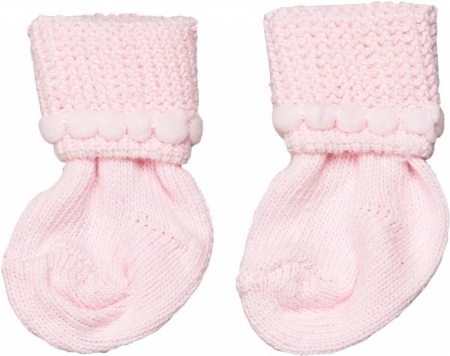 Soft, comfortable, cotton knit keeps Baby's feet warm.